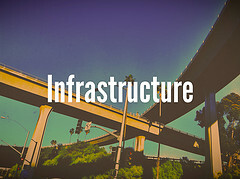 Connectivity and infrastructure development affects the property prices of the area which move upward day by day. The average capital value for the properties here range from Rs.4000 to Rs.6000 per sq. ft. There is an increase in the rental rates of the area as well. Iyyapanthangal is noted for infrastructure development and better connectivity. According to Mr. M R Sriram; Royal Splendour’s Managing Director, majority of the people- (approximately or over 70% of the home buyers) are demanding for 2 BHK apartments. He added that this home-size is the most preferred choice in the area. Iyyapanthangal is close to Sriperumbudur industrial belt and DLF SEZ and so the demand is raised mainly by those professionals who are working in these areas. At present there are only a few ready–to-move-in residential apartments in the area. This is also one of the main reasons why there is a higher demand for properties in Iyyapanthangal which is located almost 15 Kms away from here. 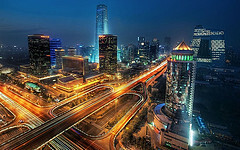 End-users are attracted to the well-developed social and physical infrastructure of the area. At present there are many good schools and other professional and higher educational institutions, hospitals and health care facilities, etc. Apart from all these, the construction of good roads also plays an important role in the growth of Iyyapanthangal which has already become a good development site for many real estate developers of the area. This entry was posted in Articles, Real Estate News and tagged Chennai, Chennai real estate, Connectivity, DLF SEZ, end users, Infrastructure, Investors, Iyyapanthangal, Sriperumbudur industrial belt by designer. Bookmark the permalink.